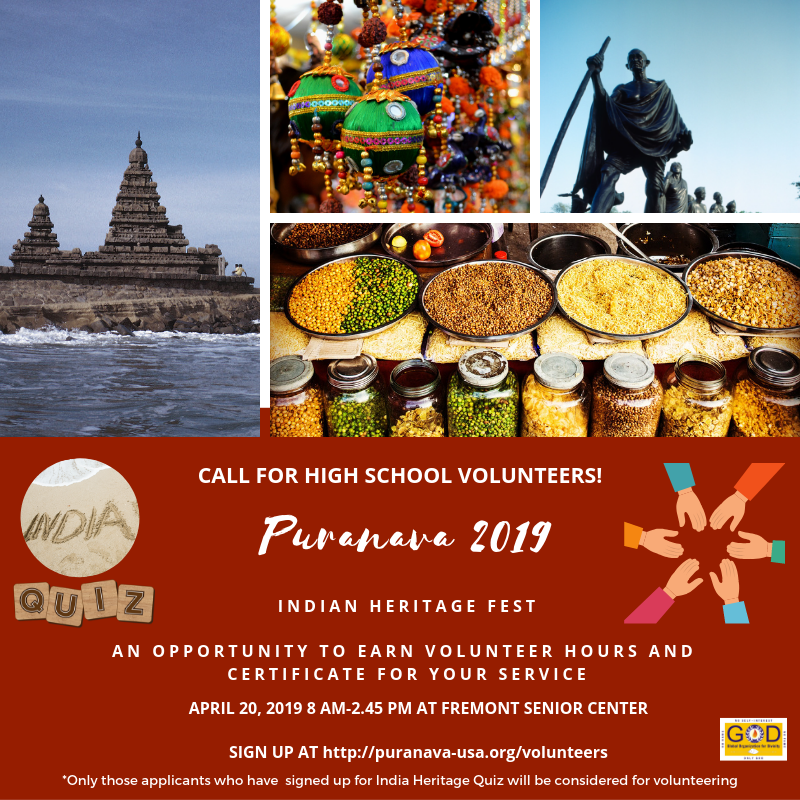 We welcome high school students (Grade 9-12) to volunteer for Puranava. Tasks will range from handling the registration desk to assisting coordinators to run the competitions. Volunteers will be given volunteer hours as well as a certificate for their service. Volunteers are expected to report 8 AM on April 20, 2019 and volunteer until 3PM. All volunteers must sign up for the India Heritage Quiz happening on the same day at 3PM. Prep materials are provided and is an opportunity to learn more about India in a fun way! Volunteers are expected to follow the instructions of the coordinators they are assisting. Puranava strives to treat all equally and with respect and create a warm and welcoming environment to all. Volunteers not adhering to this behavior and found to be behaving disrespectfully towards others or using ill-language will be requested to leave the premises immediately. They will not receive any service credit from the organization. If you are interested, please sign up using the form below.